Most cases of diarrhoea occur on third and tenth day of age. 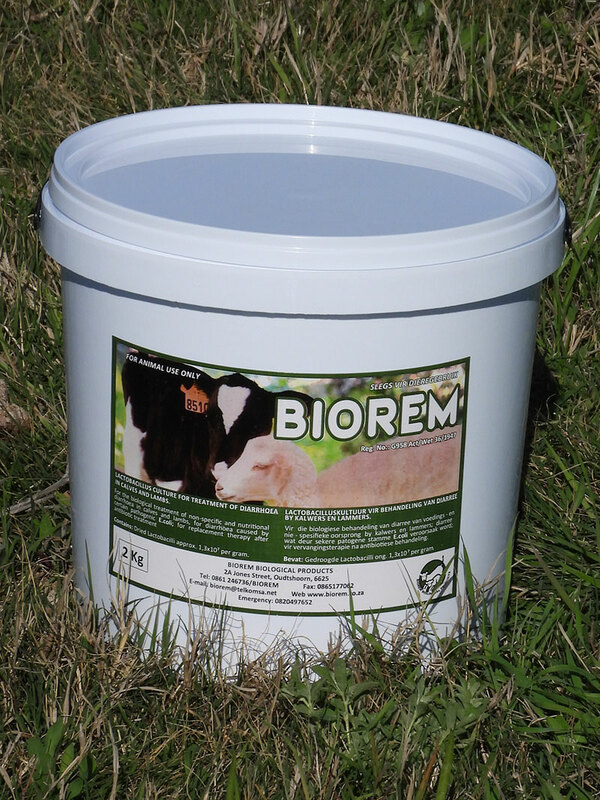 The first is usually due to stress, and the second of insufficient colostrum. 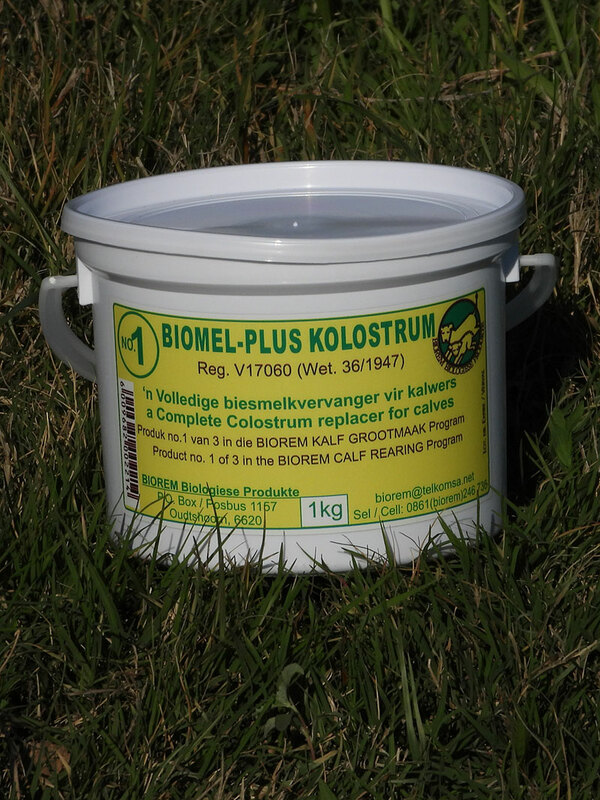 As preventative treatment, especially calves from heifers or young ewes, as well as youngsters from an unknown source, colostrums can be replenished by administrating of BIOMEL&COLOSTRUM* for calves, and BIOGLOBIN* for lambs. If diarrhoea has just started, reduce volume of milk feeding, ensure no water is available ad lib, and dose BIOREM* dry on the tongue. 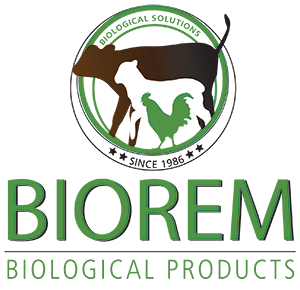 If it does not clear up soon, follow treatment for viral/bacterial infection. Diarrhoea that occurs later may be bacterial, usually E. coli, but in many cases a secondary infection after a virus infection. A viral infection can not be treated other than the animals own defence system. Additional supportive treatment with TRANSPOSIN, still an unregistered product, only available as custom mix. 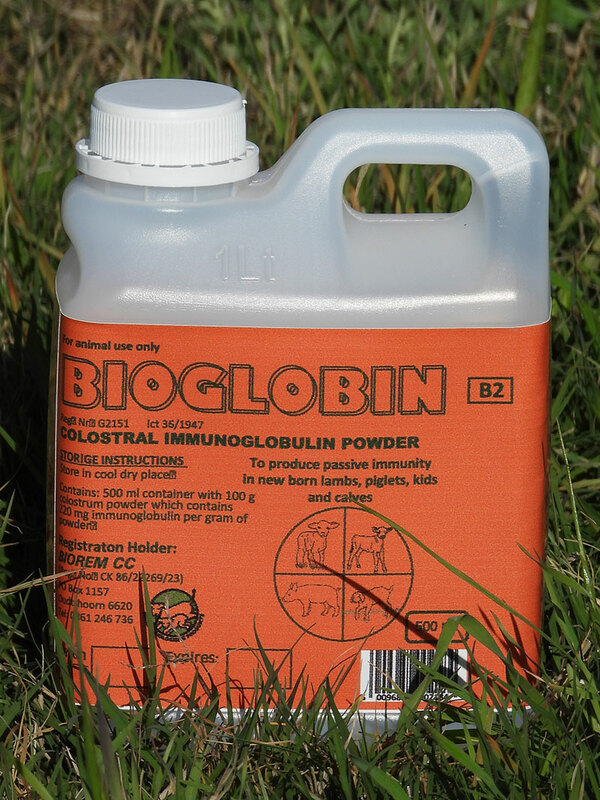 Severe bacterial infections can only be treated with antibiotics, but dehydrated calves (eyes sunk in eye-pit, skin not flattening within 2 seconds when pinched) have to be administered with electrolyte for 2 consecutive days, 1 litre 3 times per day. Treat with antibiotic preventative for secondary pneumonia as per prescription. Provide milk feeding gradually from electrolyte feeding and ensure volume is correct. Water can only by supplied controlled during first 2 weeks by keeping the volume same as milk feeding at midday.